Zophop an android app that lets us plan our travel easily and conveniently,it is a one stop app for faster and smarter traveling,Using Zophop app users can easily search for all modes of public transports available in their city Like Bus,Train,Metro,Monorail and the cabs,the app also features checkin that let’s us get live location of bus,trains after you check in ,you get the estimated arrival time,next stop and updates over voice. This app features check to make your bus or train live for others,nearby option to show all near by transport,schedule check to get the departure timings,favoriting the frequent traveling routes,This app currently supports six cities namely Mumbai,Bangalore,Delhi,Jaipur,Chandigarh and Chennai. As already mentioned in our title This app is offering free 10 Rs Paytm cash for each referral,Both you and your friend gets 10 Rs Paytm cash,you can referral for upto 5 Friends. 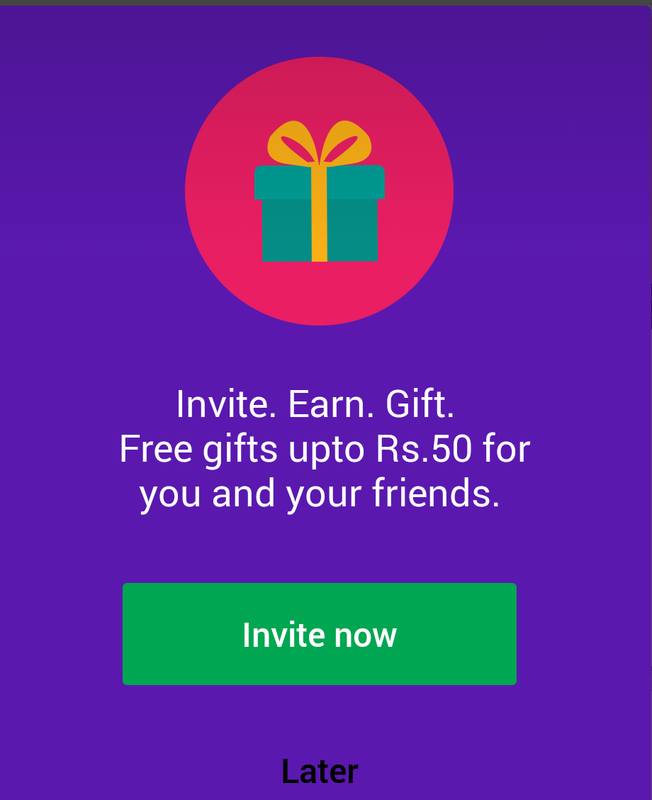 To Refer just download this app from play store ,after downloading and opening the app you will see a popup showing you the offer ,click on it and get your referral link share it with your friends on facebook or what’s app directly or by any other medium,once your friend downloads and installs the app using your referral link ,you will earn a 10 Rs paytm voucher,The friend will also get 10 Rs paytm cash as a reward for using your referral link,now just download the app and start referring your friends,you can check your earning anytime from Menu > Earnings. 4)The offer cannot be clubbed with any other offer.